It’s a scene that Harry Potter book purists are sure to rage over (the fact that it was kept out of the movie, that is). I won’t even bother with a full post for this one…go to the second clip, about :50 in. HOW IN THE HELL COULD THEY LEAVE THIS OUT!!!!!!! Thanks to Paige for the tip. One of the scene i really thought they would inclued on DVD was Harry and Ron talking about Hermonie, and how Harry looks at her as a sister. I really think that should have been in the movie. 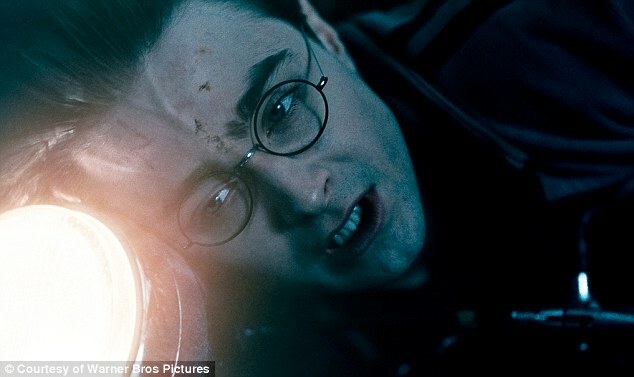 And someone pls tell me why they didnt show the cloak at all in the movie and ITS ONE OF THE DEATHLY HALLOWS! Thanks for sharing. This needed to be in the movie. I mean, I wouldn’t have minded it being a little longer :). I also agree with Jay Lee, where was the cloak? It’s kinda important.